Facing the Death Mother Lecture Video - Bud Harris, Ph.D. Massimilla Harris Ph.D.Bud Harris, Ph.D. Massimilla Harris Ph.D.
On October 28-29, 2011, Massimilla led her lecture and workshop titled “Facing the Death Mother.” The response for this event was great, and we are pleased to announce that a recording of the lecture is now available for you to watch. Renewing the wounding of the feminine on a personal and societal level is one of the most important challenges for men and women today. Yet, due to the wounding of this great archetypal force we continue to experience the deadly influence of the Death Mother which entraps us, kills our initiative, spirits, creativity and vitality. This journey will focus on the very human and psychological dimensions of how the Death Mother in our culture, the wounded mothering we experienced and the results we internalized captures our lives. 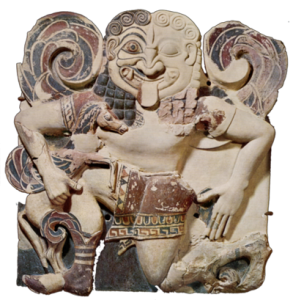 This healing path is based on the classic myth of Medusa, enriched with personal experiences and psychological insights that open our direction toward healing and renewed personal consciousness. It will help us examine our assumptions about ourselves and our lives in order to move from paralysis to full vitality and creativity — and most of all to a deeper love of ourselves, others and life. 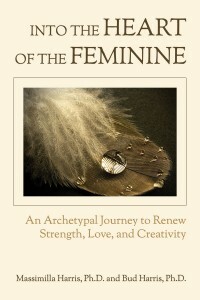 The material from this lecture is the basis of Massimilla’s book Into the Heart of the Feminine, co-written with her husband Bud Harris, Ph.D.. Purchase your copy at amazon.com.